COST: SUGGESTED LOVE DONATION OF $25/CLASS. BYOL. WEEK #1: IT’S a MATTER of LIFE and DEATH! Many cultures in our world believe that our Soul is eternal and returns to experience life in a physical body for numerous lifetimes. There are others who believe that death is the end of us, and that we no longer exist in any form. There is a vast range of beliefs systems regarding Angels; some are religious; some are not, and some belong to indigenous cultures. Although the names or physical descriptions may be different, “Angels” are often regarded as spirit helpers who bring messages of truth to aid humanity and who assist and intervene on behalf of human beings. Lorna Byrne’s deep connection to the Angels that started when she was just a baby. Dreams show us how to find a meaning in our lives, how to fulfill our own destiny, how to realize the greater potential of life within us. The most important single thing dreams do for us is that of helping us solve our problems. The brain continues to think about our problems even when we sleep, and we can often wake up with answers to questions that have puzzled us. We are living in a time of unprecedented change in which everything that no longer serves humanity is falling apart. The ancient science of astrology can serve as a guidepost in finding patterns that occurred 200 years ago that are similar to what we are experiencing now. The opportunity for self-realization, self-love, and self-care is now here. 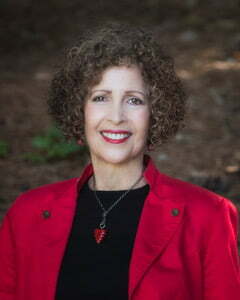 Joy Goodman has courageously devoted the last half of her life engaged in personal healing and transformation, focused on uncovering her true nature and fully expressing herself. In the process, she has inspired and guided many others of all ages to do the same. Joy has been an educator for more than 40 years. Following her inner guidance early in her teaching career, she spent several years teaching gifted children how to research topics that were “unprovable” and develop their own beliefs and opinions as a result. The topics they explored and personal stories they shared through this daring program made Joy a believer herself in the presence of the mystical in shaping our lives. Soon after, inspiration led her to create one of her cornerstone programs, Express Yourself with JOY. She now offers public speaking and interview skills to high school students and adults. More recently, Joy embarked on a two-week solo trip to Italy. Before going, she had to confront the terrors passed down by her immigrant ancestors who fled persecution. After months of inner preparation, she opened her arms to freedom, joy, and saying YES to life! In order to help others also live more fully and freely, Joy created her study course Courageous Living: Beyond the Fear. Currently Joy teaches others how to face their fears and become more willing to take risks in all areas of their lives. Joy is passionate about motivating, inspiring, and awakening people of all ages to their inherent magnificence, value, and inner gifts through her group classes, workshops, individual coaching and motivational speaking.